View the Labels/SDS information for Provaunt WDG Insecticide. 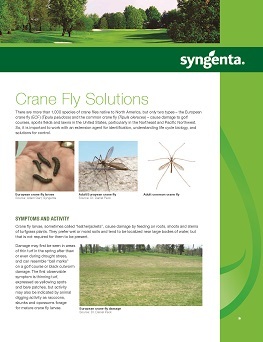 European crane flies, annual bluegrass weevil (ABW), turf caterpillars (including armyworms, cutworms and sod webworms) and mole crickets all pose a significant threat to turf. Provaunt® WDG insecticide controls all of these pests and more to protect your turf and landscape ornamentals. Targeted insects are controlled by feeding on treated foliage through direct contact with spray droplets during application or by contact with active ingredient residue on leaf surfaces. Pests treated with Provaunt WDG can stop feeding within minutes, rapidly reducing feeding damage. Once feeding stops, mortality typically occurs within 48 hours. The bioactivation process does not affect most non-target insects, so they are less likely to be affected by Provaunt WDG. 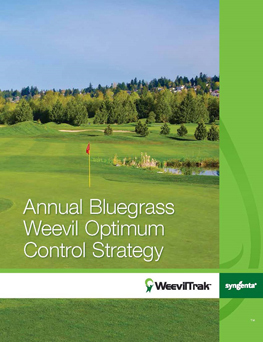 The Syngenta ABW Optimum Control Strategy features multiple insecticides with proven activity against ABW. 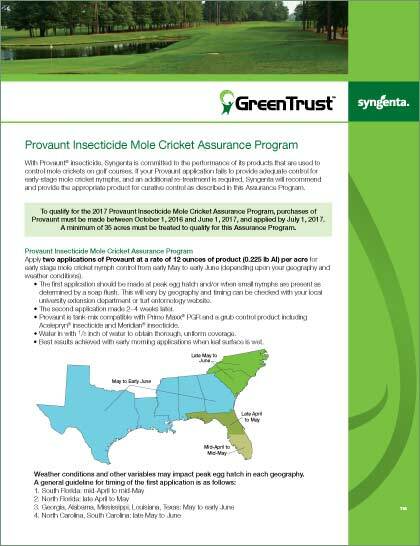 Includes program details and trial information about Provaunt and Provaunt WDG for mole cricket control. ©2019 Syngenta. Important: Always read and follow label instructions. Some products may not be registered for sale or use in all states or counties and/or may have state-specific use requirements. Please check with your local extension service to ensure registration and proper use.The trademarks or service marks displayed or otherwise used herein are trademarks or service marks of a Syngenta Group Company or third parties. Syngenta Customer Center: 1-866-SYNGENT(A) (796-4368).